It is unlawful to drive a motor vehicle on a road or a road related area without holding a current driver's licence for that class of vehicle. Severe penalties apply. If you hold a driver's licence, you must notify the Registrar of Motor Vehicles within 14 days if you have changed your residential address. Driving is one of the riskiest daily activities that you'll do so, preparing yourself and your vehicle is vital. 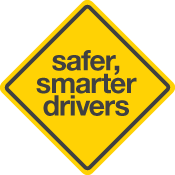 Safe drivers aim to reduce and manage their risk by making good decisions and taking responsibility for their behaviour when driving. You need to work through a series of stages in the process of getting your car driver's licence. This section explains how you progress through the Graduated Licensing Scheme before obtaining your full car licence. The staged approach to getting your driver’s licence, including new rules to protect P-Platers. Study up for the learner's theory test. Each time you start this practice test you'll get 14 random questions from the real test - so keep practising. Helping a young person develop the skills and attitudes they need to become a safer, smarter driver is a challenging and rewarding experience. Be prepared and learn the rules. Drivers who gained a provisional licence on or after 4 September 2010 must not drive a high-powered vehicle if you are under the age of 25 until you gain a full driver’s licence. On the Right Track provides culturally appropriate information for Aboriginal people about road safety and driver licensing.